We are excited to be a part of our first Christmas in July Shop Hop with the shops in the Fox Valley. We have lined up some great projects for you. The girls have been stitching, stitching, stitching!! Please make sure to check out our Facebook page for a deal a day during this event! Our calendar is up and running and will tell you everything that is happening at the shop including classes, clubs, events, sales, etc! Check out our new Birthday Club beginning in September by clicking here. This is going to be fun! We have added precuts and fabrics to the shop. Stop in!! There have been lots of ooohs and aaahs when people see this. Come and sign up. We have a few spots left! 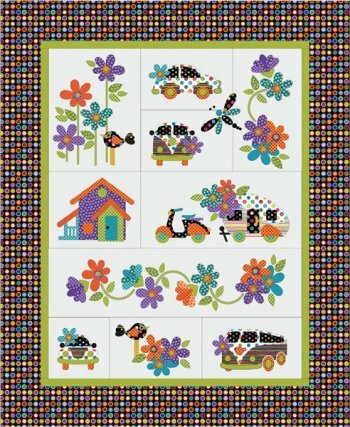 Come and sign up for this super retro fun quilt. All the pieces are laser cut. Just peel, iron and stitch! Sample coming to the shop soon. 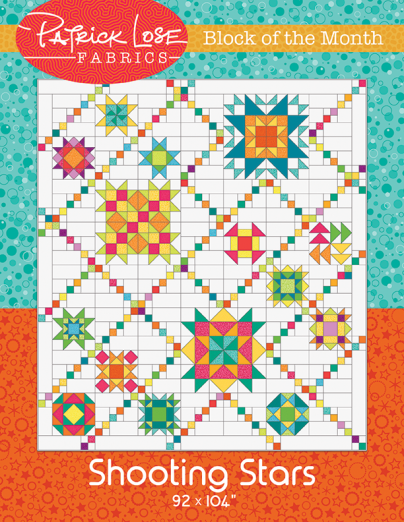 Want to go to Quilt Expo on September 8th? We are planning a bus trip to include your transportation and tickets. Details coming soon.